Whisk together lemon juice, oil, mustard, salt, and pepper in a large bowl. 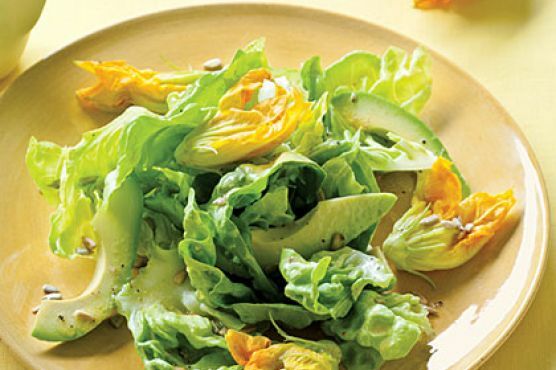 Add lettuce, 1 1/2 cups blossoms, the sunflower seeds, and avocado and lightly toss with dressing until coated. Sprinkle remaining 1/2 cup blossoms on top of salad.